Spring ball is in full swing and, after weeks of questions, we’ve finally begun to get answers. Or, at least, snippets of them. After each week of spring ball, we’ll break down the three biggest stories of the week, what they mean and why they matter. This week we touch on a small position tweak that could pay big dividends, an interesting self-reported stat and a freshman drawing his fair share of comparisons to recent Trojan standouts. When Palaie Gaoteote was being recruited out of Bishop Gorman, some recruitniks pegged him as a SAM in Clancy Pendergast’s system. Once he actually arrived on campus, he was a MIKE. For one game, he even started at Predator. Palaie Gaoteote is now officially playing the WILL linebacker position. Now, finally, he’s hit for the cycle and is officially a WILL linebacker. That would mean a lot more in a 4-3 defense than it does Pendergast’s four linebacker variants, in which the two inside positions can sometimes overlap in responsibilities. 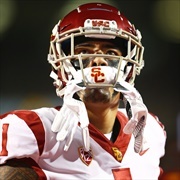 But the crucial difference – and the reason why this is a shrewd move – is that Gaoteote won’t have to worry about play calling responsibilities in his first full year as a starter. John Houston, with his five years on campus, can handle those just fine, freeing Gaoteote up to play downhill at full bore. Dollars to donuts, I’d still peg Gaoteote as the leading contender to play MIKE in 2020, which could possibly open the door for Solomon Tuliaupupu to slide in and play with his hair down in the same way Gaoteote is expected to now. But in the immediate term, USC is long on defensive potential and short on proven playmakers. Gaoteote’s ceiling is among the highest within the team, let alone on defense, and the easiest way to help him hit it is to empower him to play fast and loose on the field. 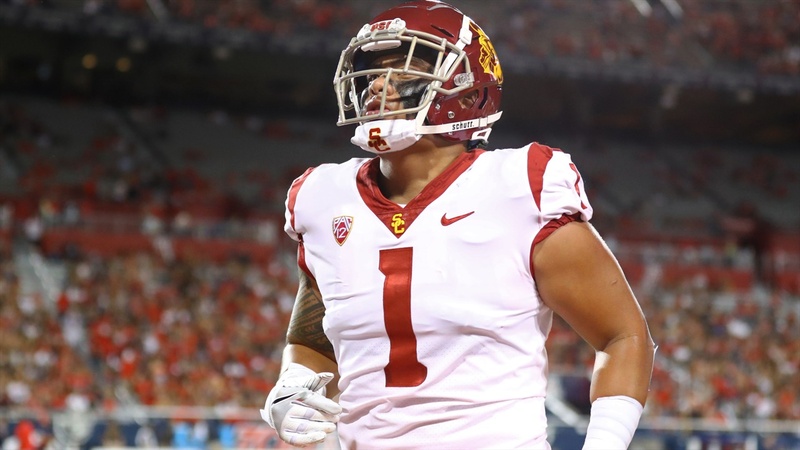 And there would be far worse out comes for USC than for Gaoteote to wreak havoc as the long-term answer on the weakside.